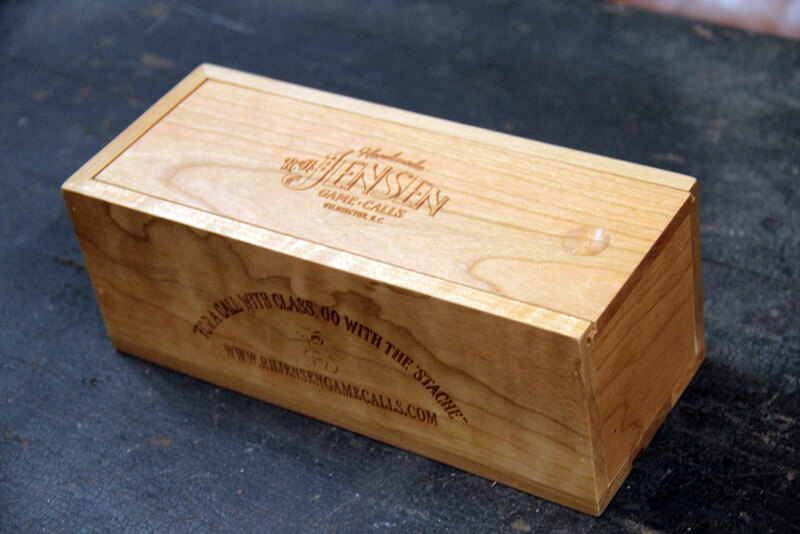 These boxes were designed and hand-built by the ‘Stache so that you could have a safe place to keep your duck call. 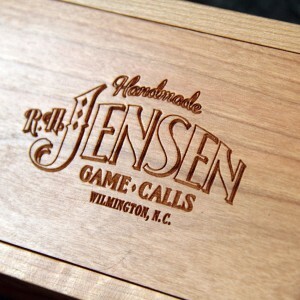 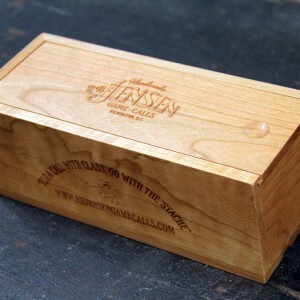 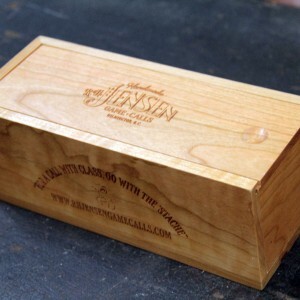 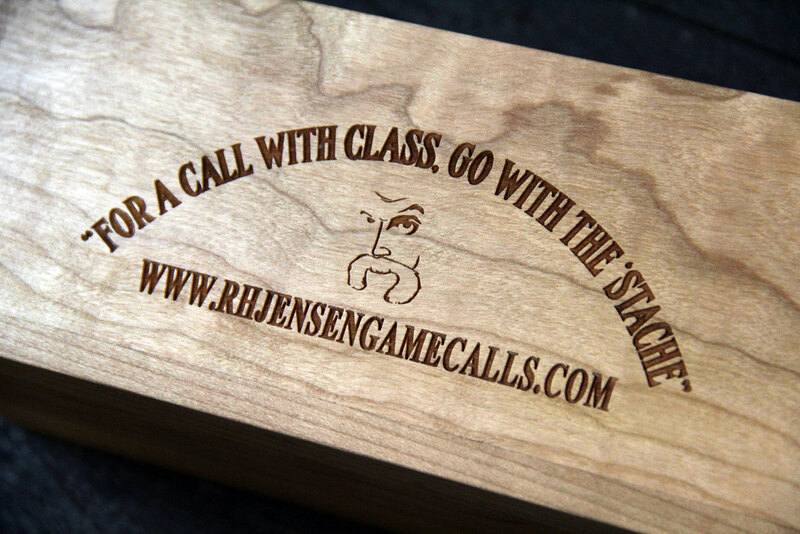 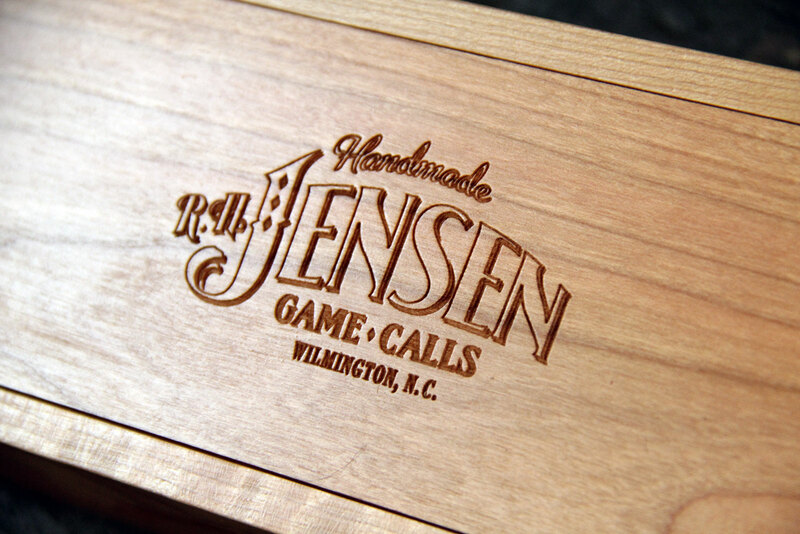 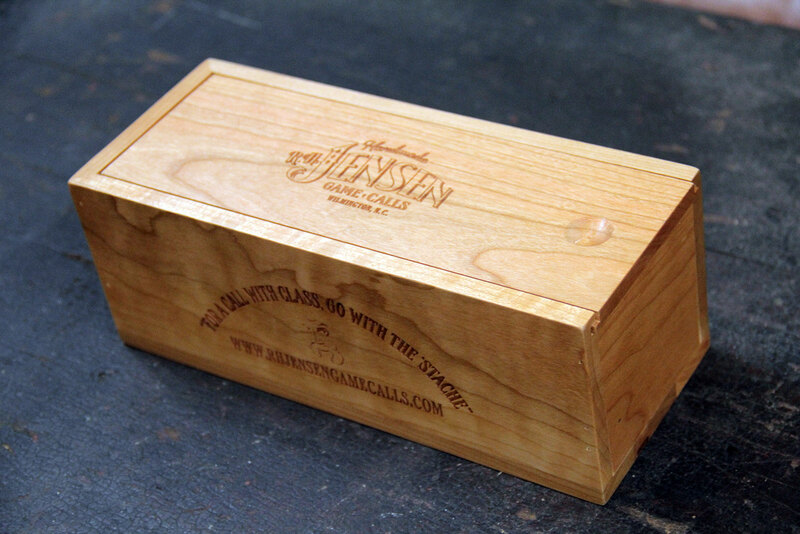 The box features a sliding lid and laser engraved RH Jensen Game Calls logos. 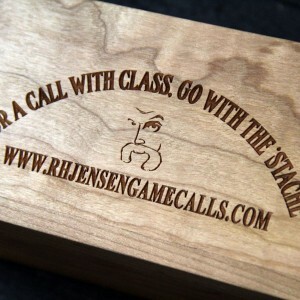 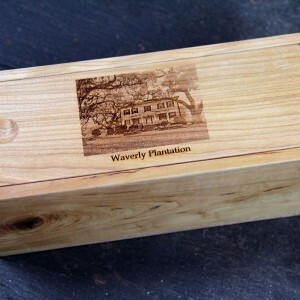 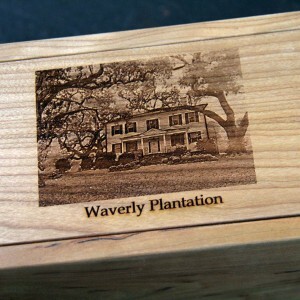 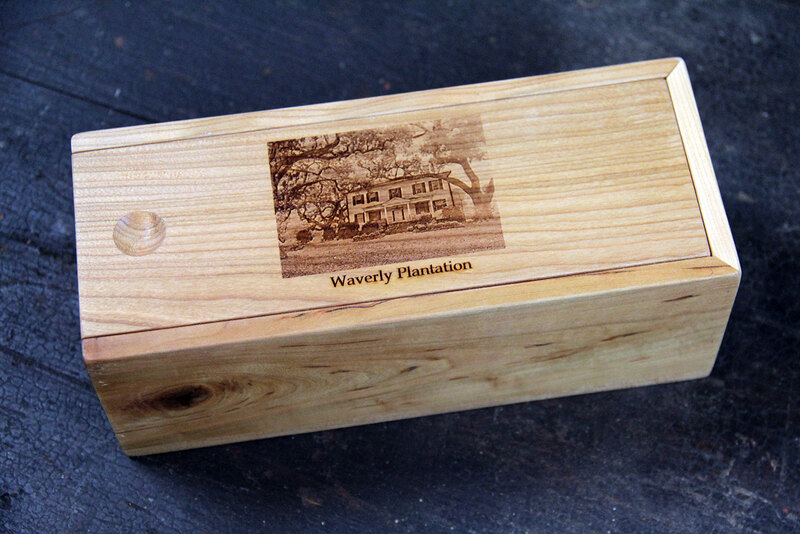 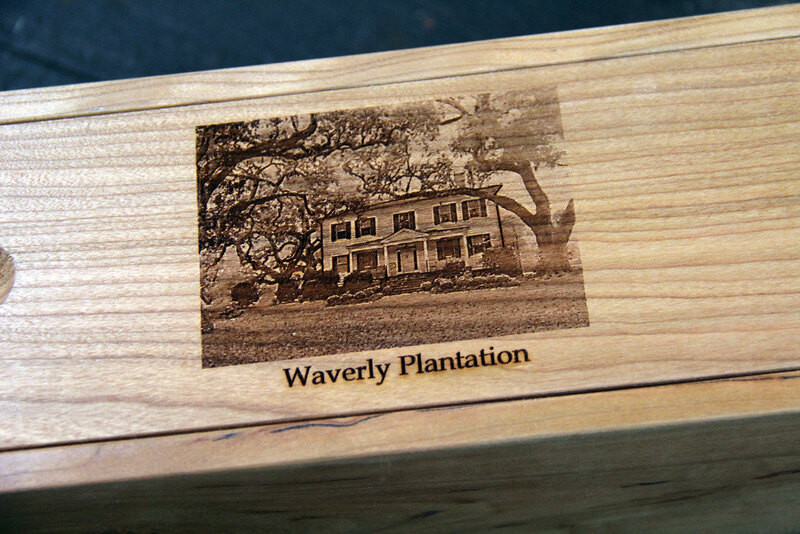 If you would like a custom design engraved on your box, contact the ‘Stache for more information and a price quote.